AT THE DRIVE IN REVEAL NEW MUSIC! 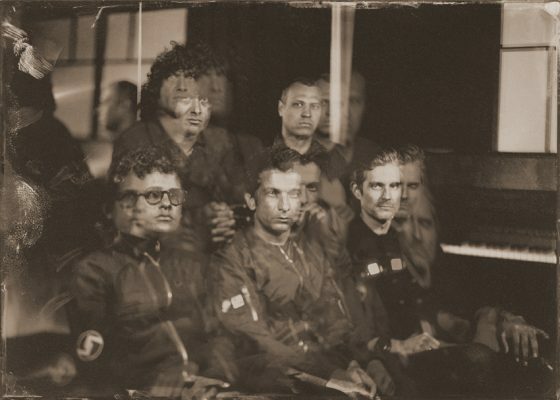 Texan prog-punks AT THE DRIVE IN have unveiled a track from their forthcoming new album, their first in 17 years! ‘Incurably Innocent’ – which vocalist Cedric Bixler-Zavala describes as “a song about sexual abuse and being able to finally speak out” – is taken from in • ter a • li • a which is scheduled for release on 5 May through Rise Records. Formed in 1993, the El Paso quintet made a huge impact at the turn of the century with Relationship Of Command through the BEASTIE BOYS Grand Royal label. Splintering soon afterwards, Bixler-Zavala and guitarist Omar Rodriguez-Lopez went on to significant success with THE MARS VOLTA. Reuniting briefly in 2012 they reconvened early last year with the promise of new music. Produced at Hollywood’s Sound Factory studio by Rodriguez-Lopez and Rich Costey, the 11-track in • ter a • li • a is said to pick up where Relationship Of Command left off. The release of the album will be accompanied by a mammoth US tour, followed by European festival dates including Reading and Leeds over August Bank Holiday weekend. in • ter a • li • a is available to pre-order here. ‹ JILTED JOHN PLAYS LONDON SHOW! STRAY CATS UNLEASH NEW VIDEO! DAVE KUSWORTH PLAYS LONDON DATE!